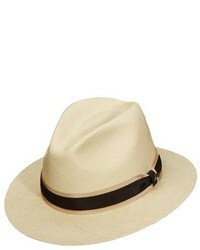 Team a beige blazer with a Tommy Bahama Panama Straw Safari Hat to be both casual and knockout. We're all looking for comfort when it comes to dressing up, and this combination of a navy polo and a Tommy Bahama panama straw safari hat from Nordstrom is a good illustration of that. Rocking a pair of white plimsolls is an easy way to add extra flair to your getup. We all want comfort when it comes to dressing up, and this combination of a white windbreaker and a Tommy Bahama panama straw safari hat is a practical example of that. 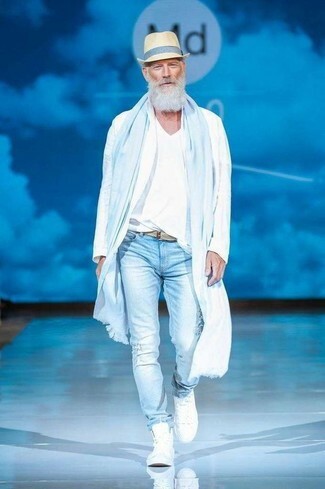 And if you want to instantly kick up the style of your look with one piece, add white high top sneakers to the mix. 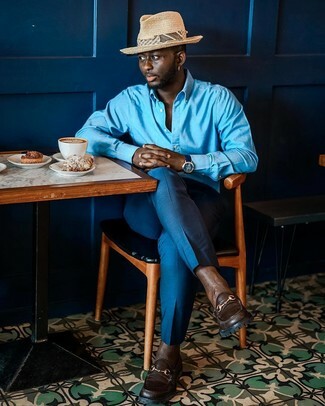 We're all outfiting for comfort when it comes to dressing up, and this combination of a navy blazer and a Tommy Bahama panama straw safari hat is a perfect example of that. Team a white short sleeve shirt with a beige straw hat if you're looking for an outfit idea for when you want to look casually cool. 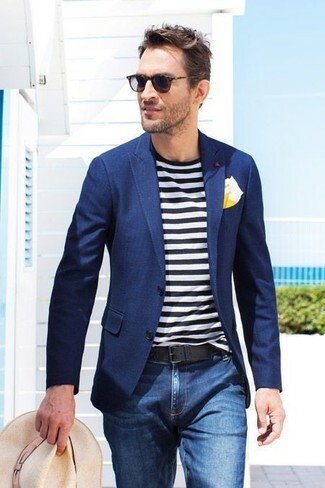 And if you want to instantly up the style ante of your look with one piece, add dark brown leather loafers to the mix. 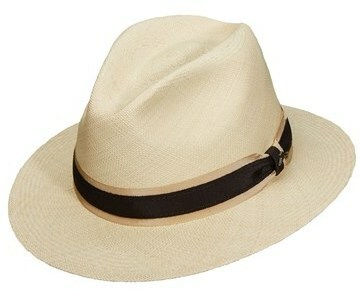 If you're hunting for a casual yet sharp look, pair a grey suit with a Tommy Bahama panama straw safari hat from Nordstrom. Both items are totally comfortable and will look great together. You could perhaps get a little creative when it comes to footwear and elevate your outfit with brown suede derby shoes. 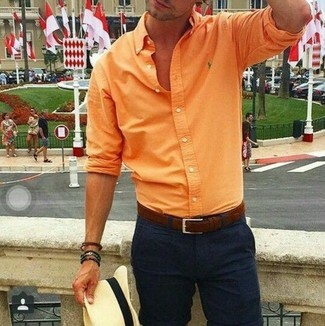 If you prefer relaxed dressing when it comes to your personal style, you'll love this stylish pairing of an orange long sleeve shirt and a Tommy Bahama Panama Straw Safari Hat from Nordstrom. 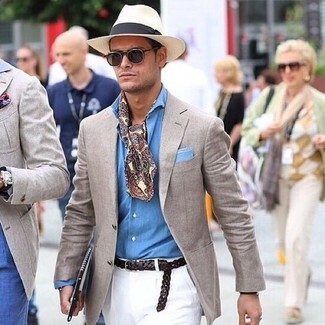 If you prefer comfort dressing when it comes to your personal style, you'll love this cool pairing of a blue long sleeve shirt and a Tommy Bahama panama straw safari hat. And if you want to instantly up the style ante of your look with one piece, add dark brown leather loafers to the equation. If you're all about being comfortable when it comes to dressing up, this combination of a mint plaid long sleeve shirt and a Tommy Bahama panama straw safari hat from Nordstrom is right what you need.